What’s Needed to Getting Approved for a High-Risk Merchant Account? Getting your business online has become one of the most common things nowadays. You need to understand that the Web is a powerful tool if used properly. Otherwise, it can lead to bankruptcy or even worse. Since there is an enormous amount of different types of businesses, there are some which are considered risky for many reasons. One reason is that many others in that line of work conducted a lot of frauds and stole money from people; other is that there are a lot of chargebacks and so on. The main problem here is that you’re labelled as a high-risk merchant who can pose great problems for your further advancement and the desired increase in profit. How to deal with High-risk label appropriately? You need to take this issue seriously if you want to overcome it and continue with your plans. Being a high-risk merchant means that not many other business and companies are going to be willing to work with you. It’s just too much risk for them, and you need to make them trust you. One way to do just that is to set up a high-risk merchant account with some of the payment solutions available online. There are many of those, and you need to choose the one which suits your needs the best. Beware of those merchant account providers because many of them charge fees upon sending the application and afterwards if yours is declined, they don’t refund those fees. It’s better for you and your business to inquire before you apply if there is a return of funds in the case you’re declined. When you set up a high-risk merchant account, then you will be able to resume your work and focus more on your further development. What is needed to Get Approved? Gather as much information as you can about these two things, and you’re ready to go. They are the most crucial part when it comes to sending the application. When everything is ok with financial statements and processing history, then you will have almost 90% chance to be approved and get that merchant account. Another secret weapon you should use without any hesitation is stating your business and write a cover letter. It’s pretty much the same as you’re applying for a job. The only difference is that you will be writing in the name of your whole company. You need to have in mind that not many merchant account provider are going to approve your application if you struggle with a lot of chargebacks. Therefore, it is strongly suggested that you deal with those the best way you can. If you follow these steps, then you will be able to set up a merchant account without any problems. First of all, this is something that just happens to all of us. You will then have to try out a few things. Write back to them stating that you’re serious about your business and that this means a lot to you because many of those merchant account providers do not fully read your application, thus replying with full description may change their mind. If this doesn’t work, then you should consider choosing another company and apply there. 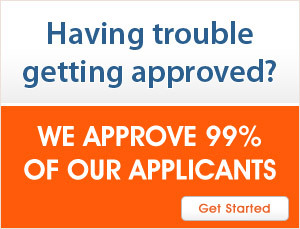 There are more and more companies of this kind, and you will find the one that will approve your application. This is one of the biggest problems when it comes to doing business online. But when you overcome it, you will then see how much opportunities there are which will ensure your further improvement. In order to become better and advance further, as a business owner, you will have to take the next step, and start doing your business via the Web. This is where Merchant Worthy steps in because you will need their services more than you think. Dealing with high-risk status on the Web can be really difficult, and you should contact the professionals to help you with it such as Merchant Worthy. Dealing with chargebacks can be hard especially if you’re into the high-risk pool. You need to focus on keeping the rate of chargebacks below 2%, and Merchant Worthy offers chargeback insurance as a solution for this problem. They will handle the chargebacks, and you will continue doing business smoothly. They also provide Internet Merchant account with free integration and SSL secured solution. You will have to understand that dealing with this problem is a must. Otherwise, you wouldn’t be able to work as you’re supposed to and never achieve that desired improvement. MerchanWorthy.com is one of the High-Risk Merchant account providers for credit card processors. They are dedicated and extremely efficient at what they do, and that is something you will have trouble finding on the Internet, people you can trust. Regardless of why you’re considered to be a high-risk merchant, they are here to help you cope with it and set up credit card payment processor because that is one of the main reasons for putting your business online. You need to enable your customers to pay via the Internet for your services and your goods. Another great thing is that setting a high-risk merchant account with MerchantWorthy.com is really easy. There are also PIN-based transactions which can significantly lower the risk of losing money. You will see that their rates are affordable, and since you will be resolving one of the biggest issues for businesses nowadays, it’s totally worth it. If you’re into Tech business, you will also need help from this company, and they are also focused on providing an industry-specific high-risk merchant processing solutions. If you’re one of those companies that sell goods via the Internet, and you ended up with a label of “high-risk” merchant, then you will have to connect your business with MerchantWorthy.com. They specialise as well in providing these kinds of businesses with internet merchant account with full services. You will be able to plan that expansion with ease due to the guaranteed increase in profit. You don’t have to be from the United States to work with MerchanWorthy.com; they do business offshore as well. These offshore accounts are tax-free. It is hard to find a reliable high-risk merchant payment processor provider, and this company is just one of those you can trust. They have been into this kind of business for a long time, and you can read many positive reviews about them. Overcoming all kinds of problems is a certain way to the top.